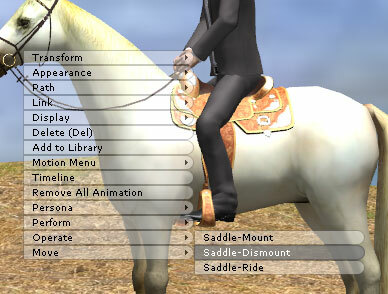 iClone - How to mount/dismount a horse? 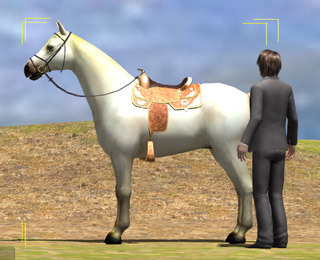 3.The character will walk to the horse and mount it by him. 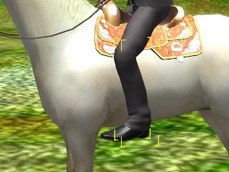 4.After you mounted the horse, please hid the stirrups. 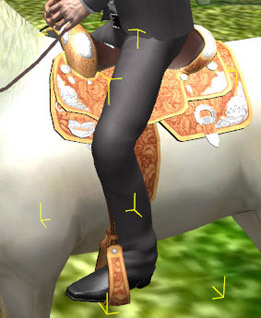 5.Apply the new stirrups accessories to character. 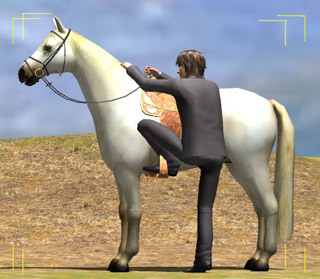 When the character has mounted the horse, you can select Operate\Dismount and the character will dismount by him. 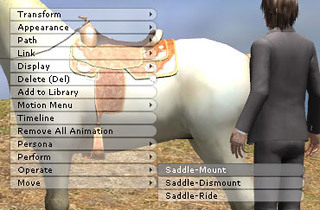 You can select Operate\Saddle-Ride to mount the horse directly. Copyright © 2009 Reallusion, Inc.